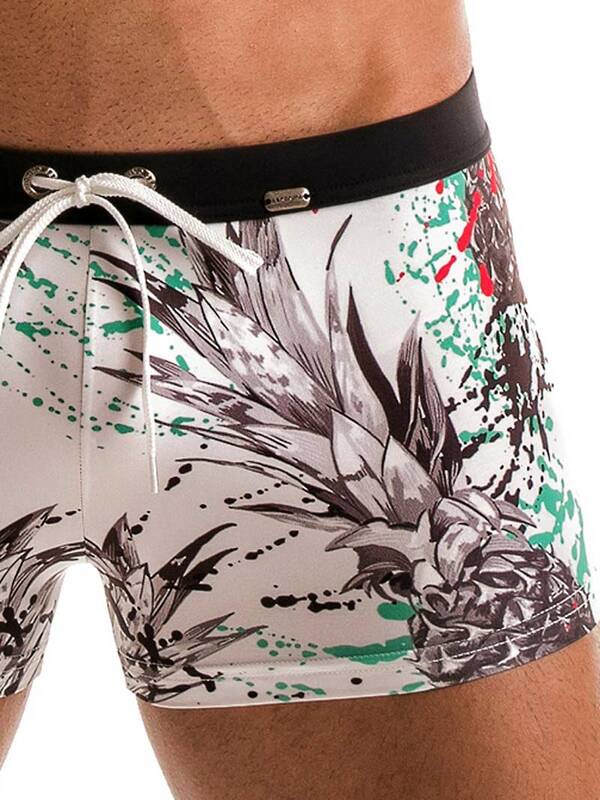 You'll be ready to find paradise when you wear these 1908b1 White Pineapple swim trunks by Geronimo swimwear, featuring a gorgeous vibrant print. It's crafted in quick-drying fabric for the best in comfort after exiting the water. Featuring front lining, leg trim, Geronimo logo embossed on metal eyelets, exposed drawstrings to keep it all in place as you swim and metal logo tag at the waistband. You can't go wrong with this classy swimsuit!